← Binge Eating VS Binge Eating Disorder: What’s the Difference? 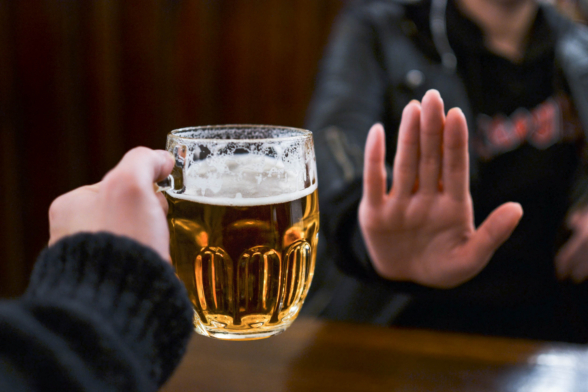 Cutting down on alcohol isn’t as difficult as you think it is–only when you think it is, then it will be. An effective approach to this could be incrementally cutting down on alcohol intake for one day at a time. Let’s say that you have alcohol 6 days a week. You could start behaviorally modifying this practice by assigning 1 day of these 6 days as alcohol-free. In the next week, you could assign another day, making it 2 days being alcohol-free, and so on. This eventually helps you lift yourself from this bad practice effectively in the long-term, as opposed to doing an abrupt stop. It is comforting to be surrounded by your loved ones in whatever struggle one may face in life, and this is no exception to that. Social support is vital in a journey to recovery. Having your friends and loved ones by your side and rooting for you is a well of comfort, happiness, empathy, and security. You can also get social support outside a home. Consider taking part in support groups with people facing similar struggles as you gain strength and inspiration from it. Just because you’re on this journey does not mean you have to be alone in facing your dragons. Sometimes, support groups might not be enough for some individuals. But there’s no shame in that. The point in the journey to recovery is doing what works for you to help you become a better and healthier person. For some individuals, there may be issues and psychological noise that are best dealt within a four-cornered office and a therapist. There are just some things that can’t be easily tackled in a support group setting, and that’s entirely fine. Never forget to show yourself some self-compassion. What you’re going through is not easy which is all the more reason to show kindness to yourself. Come up with a reward system. Make it a practice to reward yourself for every little victory you have and every milestone you take. You can reward yourself through a movie night, a day at the spa, or whatever suits you. Just remember that embarking in the journey to being sober requires not just the support and compassion from others, but also from yourself. Having the staff to work behind this and assist clients to sobriety requires a level of competence. Network Medical Staffing is your medical staffing in Oklahoma and your certified nursing assistant in Texas, providing you the staff you need for your institution. We provide you with competent and skilled individuals, ready and fit for the job. This entry was posted in Addiction and tagged Seeks Support, Self-compassion, Therapy. Bookmark the permalink.